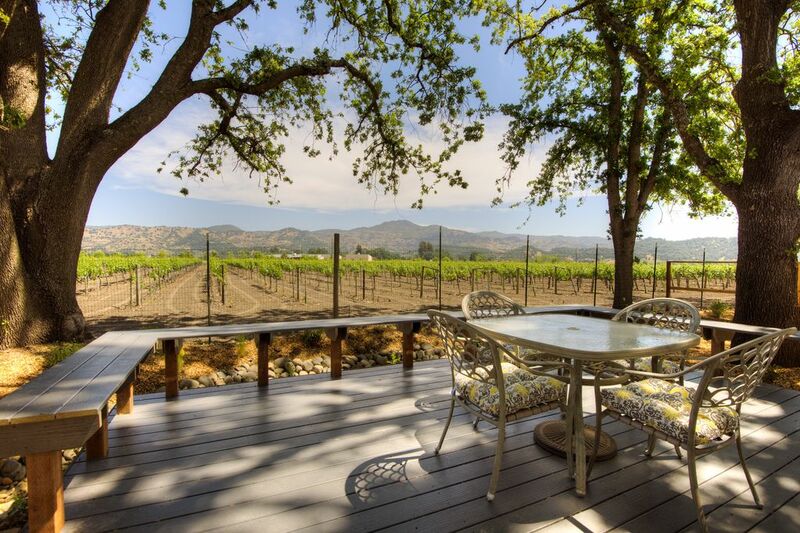 Relax on the deck and enjoy the wonderful vineyard and mountain views that surround you. Walk to the quaint shops and the world famous French Laundry Restaurant for a romantic dinner. Choose from the many fabulous restaurants right here in Yountville or explore through the wine country and visit our world renown wineries, while enjoying the views of the valley. Whether you choose to go for a hot air balloon ride or have lunch on the Wine Train, you are sure to fall in love with our valley. I have lived in the Napa Valley for over 45 years, and have been selling Real Estate here for 37 wonderful years. I live and have my real estate company, right here in the quaint, yet world class, Town of Yountville. There is nothing quite like the lifestyle of being here in the Napa Valley, so whether you want to come for a month or a lifetime, you won't find a more desirable place to be. I have owned many properties here in the Napa Valley, and this one is special to me, and I want to share it with you as well. This in one of the last new homes to be built in the Town of Yountville, as there just isn't anymore land to build on. The modern farmhouse architecture is perfect for the Napa Valley lifestyle, easy going yet many things to do and see. I will warn you in advance, the spectacular panoramic vineyard views will get into your veins, and once you become accustom to seeing them on a regular basis, it's hard to go back to not seeing them. One of my passions (besides real estate) is decorating. I had such a great time starting from a blank canvas with this home, starting back in the construction stage. I know you will love the quiet, casual, yet elegant, feel of my home as much as I do. Think of it as a charming retreat, in the heart of the Napa Valley.